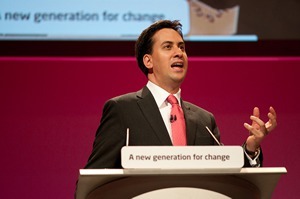 Labour’s ‘benefit cut’ for young people: populist or progressive? Some of the criticism of Labour's welfare plans is misplaced. Policy announcements lend themselves to multiple narratives. Labour’s announcement of restrictions to Jobseeker’s Allowance for 18-21-year-olds is no exception. “Labour to cut youth benefits”, ran the Guardian’s headline, with Patrick Wintour’s copy noting “The move is designed to symbolise Labour’s determination to reform welfare”. I have a lot of respect for Rob and Alex and many others who responded in similar terms. I also think the spin on the policy was counter-productive, leaving people with the sense that Labour was simply loking for a symbolic ‘get tough’ policy. The cuts (savings) amount to a mere £65m, the sort of money DWP can (and regularly does) lose down the back of the sofa. But while I don’t think the policy as it stands is optimal, I don’t buy the idea it was cooked up for the tabloids or potential UKIP voters either. The true narrative is one of progressive aims running up against inherited structures and prospective fiscal constraints and muddling through as well as can be expected. Here’s my understanding of the problem the policy is intended to address. People who are attending education or training for more than 16 hours a week have no access to Jobseeker’s Allowance (JSA). This means that post-secondary school training opportunities are effectively foreclosed for school-leavers from the lowest income families, leaving JSA as the only option in the absence of employment. Because of the all-too-close relationship between family income and educational attainment, this in turn means that those who have most need for post-secondary education and training are the ones who are least likely to get it. So why not just abolish the 16-hour rule altogether? This is where the fiscal constraints narrow down the available options. Abolishing the rule would open up access to JSA to everyone attending FE colleges, regardless of financial need: whatever the (debatable) attractions of such a universalist approach, it would mean a major increase in spending, which for better or worse is ruled out by the party’s fiscal stance. The only other obvious option to extend financial support for training to these young people is to ration it, which is what the Youth Allowance proposals do. The rationing mechanisms are to limit financial support while in training to those falling below some minimum qualifications level and to those whose parents have low incomes. However rationing on parental income introduces an assumption that people are still living with their parents unless there is some good reason why this isn’t possible. So it looks as if young people who have done nothing wrong are being told, solely on the basis of their social class and school attainment, that if they aren’t in work they will have to stay at home and undertake training. Whether the policy is as draconian as this sounds will depend on the detail. It is notable that Labour isn’t claiming it will make any savings on housing benefit from the proposal. That suggests that they expect a lot of those receiving the Youth Allowance while in training to be living away from their parents. That makes obvious sense: some people in this age group are already parents themselves, some will have left home while in employment and lost their job, some will have moved to another part of the country to look for work, some will have had to leave home for serious personal reasons and so on. So it looks as if the intention is that many of the hard cases that immediately spring to mind when one reads the headlines will in fact be entitled to support. But it would be foolish to underplay the risks involved in what will inevitably be a broad-brush approach. Do we really want the state deciding whether people have a legtimate reason for leaving home? Even if there was consensus on the criteria (unlikely), do we think it would it be competent to apply them fairly? And there are other reservations. The conditionality imposed on those leaving school with poor qualifications looks uncomfortably like penalising people for something which (at least in many cases) is not in their control. And the policy will probably reduce jobsearch among school leavers, some of whom would have found sustained employment. Training may, on balance, be better in the long run for the majority – but not for all. Against these reservations, the policy promises to plug a major gap in the UK skills system, providing financial support for those who need it most and access to the sort of training that is most likely to help long-term job prospects. As I said, I don’t think the policy is optimal and I’ve indicated some of the risks – no doubt there are more. There is obviously plenty of scope for criticism. But some of the criticism we’ve seen has been misplaced. Populism and symbolic posturing seem to have played little or no role in generating the policy (as opposed to the spin). Those who dislike the policy should be asking such questions as whether the problem it aims to address is the right one to focus on, whether the policy will actually address it and whether there are other options that might do so better. I haven’t read the article. Given the quote marks in the title around a fact…why should I? I’m sure it’s full of excuses, though, for another strong rightward Labour move, and the justifications it’ll grant to the Tories for further pre-election cuts. A sensible article that gives the advantages and disadvantages of the proposals. On balance, I agree with them. It’s a difficult question to answer and I understand that a variety of policies must be posited. I don’t think there is any doubt that parties are trying to out-UKIP Ukip, but let’s assume that this is not the only reason for the right wing policies. The country is absolutely broke run into the ground by a succession of short sighted governments and incredibly greedy and irresponsible financiers and lazy regulators. The money has to be hauled in from somewhere… or rather from lots of somwheres. The Tories have already said that in the next few years the welfare bill will have to be cut again and again, and even then, as old people live longer and go on claiming pensions into their 90s and 100s, stopping JSA, not allowing housing benefits for people under 35, stopping sickness benefits and demanding that the dying go back to work won’t cut it. I just doubt that young unemployed people (and I work with this group) who may well not be capable of achieving a qualification, are the best people to take the hit. Personally I’d be after the tax dodgers. The Take That crowd who…took that! The people who are monegasque and yet operate in Britain, just to give two examples. But in reality no one is going to go for that seriously. These people have far too much power and friends in very high places.. sometimes palaces even. But working class kids have broad backs and absolutely no connections or power at all. And better still, almost none of them vote! It will be interesting to find out where all the college places are coming from and what kind of courses will be run to provide people with qualifications at A level standard for people who have problems with the 8 times table and reading a shopping list. Still as there will be targets for the colleges to get people through, I’m sure way will be found. I read that, if you have a young child you will be able to continue to claim. Therein, I suspect, will lie the answer for many of these young people. Go forth and multiply, without using the 8 times table? There isn’t the college training capacity, no, or any realistic way of expanding it dramatically. What people will get pushed through is likely to be mass-classes of functional English and Math. And that’s why they’re using an overall benefit cap…to make sure that if people do that, they won’t have to pay a penny more, just reduce benefits. (And Labour have committed to doing so in-advance now, on an inflexible three-year plan…). It completely smashes the concept of automatic stabilizers….things will just get worse. Of course this latest policy idea (or I suppose we have to use geek-speak and say “offer” these days) was designed to mollify the Daily Mail reader. Miliband’s problem is that he is frightend of his Blairite PLP and desperate to get the keys to No 10. Fear and desperation are a toxic brew. What about those 20 year olds who were orphaned or whose family don’t care about them?. There are parents who, while they might be comfortably off, would refuse to help their grown-up children. Not everyone grew up in Islington or had “ideal” wealthy parents. For too long now, Labour has been the “us, too” party. The Tories dream up some draconian scheme, and Labour want to emulate it, or even out-do them. Rachel Reeves has said that Labour will be “tougher than the Tories”. Sadly yesterday’s nonsense merely proves Labour 2014 either has no principles at all, or are prepared to ditch them for expedience. It might be a good start to reduce unemployment by retaining the retirement age of 65, at least for the immediate future. It has been said a million over 65s are now working, and we have a million young people without jobs. Of course, this would be far too straightforward for the psedo-intellectuals of politics, of which all parties have more than their fair share. A balanced, thoughtful and informative piece about a policy that has had me scratching my head since it was announced. Thank you. It goes to show the importance of spin. The policy has been painted as being about benefit cuts, but in fact it clearly has at least as much to do with *extending* benefit entitlement to young people who are in training or education and so not entitled to benefits under the current rules. Alas, Labour will be damned by the kneejerk Right if they talk about boosting benefits for anyone and damned by the kneejerk Left if they talk about restricting them for anyone, so they’re between a rock and a hard place as usual.